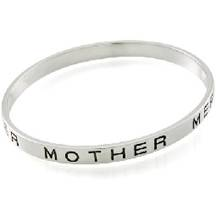 Mother's Day is right around the corner - on May 8th in case you didn't know or forgot - and I found this really lovely bracelet by CAROLEE which makes a great gift for that occasion. It's engraved with the word 'Mother' in five languages (English, German, French, Spanish and Italian) and available in silver and gold. It's available on carolee.com where you'll also find more inspiration if you're searching for a gift... or something for yourself.